Alumni Evan and Jenny Owens may not have ever gone through basic training, much less served in combat, but the couple has still developed a passion for ministering to soldiers and their families. In fact, helping soldiers overcome the spiritual wounds of war has become this couple’s mission and led to them founding REBOOT Combat Recovery in 2011. Jenny received her B.A. from Belmont in 2005 followed by a doctorate in occupational therapy, also from Belmont, in 2007. After graduating, she worked in neuro-rehabilitation at Vanderbilt and then with patients suffering traumatic brain injuries at the Warrior Resiliency and Recovery Center at Fort Campbell’s Blanchfield Army Community Hospital. REBOOT Combat Recovery exists to support the healing of combat veterans and their families from the spiritual wounds of war. The nonprofit organization offers a 12-week flagship program that focuses on topics including “Where was God?” and “What Happened to Me?” as well as exploring subjects like guilt, forgiveness, grief and identity. Reboot also offers six-week continuation courses focusing on spiritual foundations and growth as well as specific issues faced by military families. Evan, a 2005 music performance graduate who now serves on the University’s Alumni Board, began his career in sales and marketing before moving into technology. Until last summer, Evan served as the chief executive officer for CentreSource, a Nashville-based technology consulting and digital marketing company. Though he still consults with CentreSource, Evan decided to dedicate himself full-time to REBOOT, where he oversees service offerings, expansion strategy and fundraising as executive director. REBOOT has now achieved a dozen rotations of its flagship 12-week trauma healing course at Fort Campbell and has served more than 180 individuals in that area with their free services. 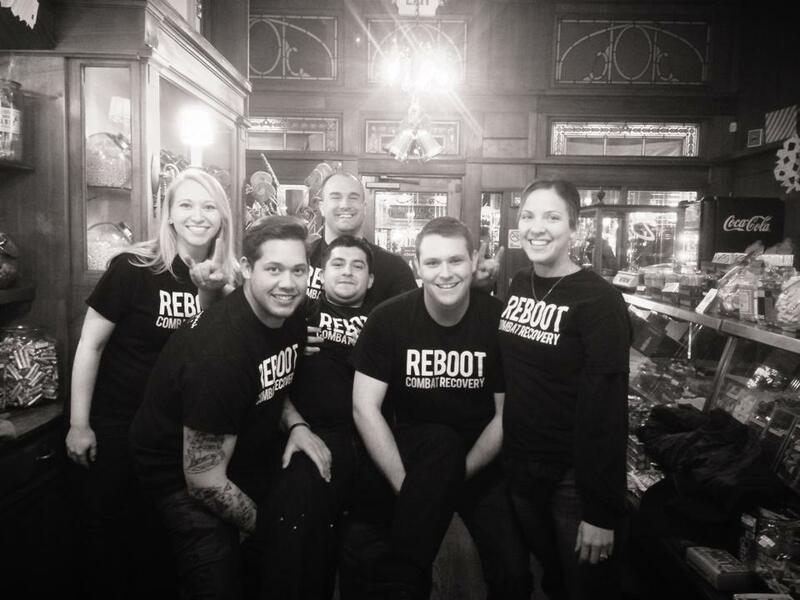 Seventy percent of REBOOT graduates to date have stayed involved with the program and continued with further courses, and REBOOT is now expanding to other areas with groups currently meeting in Nashville, Oklahoma City and Camp Lejeune, North Carolina. “Our mission is to help combat vets and their families heal from the spiritual wounds of war,” Evan said. REBOOT welcomes individuals and companies who want to contribute to their cause and encourage participation in their “22 Fund,” which named with respect for the 22 veterans that commit suicide every day. For $22 per month, donations can help a family of four find the help, hope and healing they need to recover from the wounds of war through REBOOT.